We are very central and convenient for all Blackpool’s major attractions, The Golden Mile, Blackpool Tower, The Winter Gardens all the Theatres and shops. 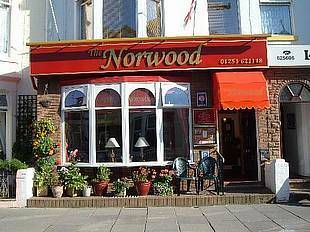 Here at The Norwood In Blackpool Geoff & Lorraine await you with a warm welcome. Our aim is to make your Holiday as relaxing and as comfortable as we can. Our reputation for hospitality and cleanliness has been bringing back valued guests year after year. 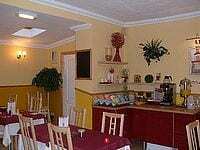 We offer all modern facilities that to-days Holidaymakers have come to expect. We are very central and convenient for all Blackpool’s major attractions, The Golden Mile, Blackpool Tower, The Winter Gardens all the Theatres and shops.We are happy to help you plan your stay and point you in the right direction to a top restaurant for a pleasant evening dinner. Do give us a call or send us an email for further information. We will be delighted to help. Naturally all our bedrooms are now furnished to the highest of standards. We have just recently completed the Family Suite which is two rooms in one – A kids room connected to a grown up room. Accommodating 2 Adults and 3 Children this suite is ideal for the larger family. 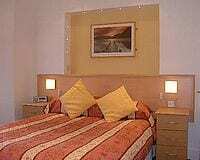 Our other rooms have all just finished being refurbished in the last couple of years to the same high Standard. All are rooms are en-suite with bathroom including shower. You can enjoy time in our bar chatting over a coffee or simply reading a good book while we serve you your choice of drinks from our well stocked, licensed bar. If you have children with you we have monitors for you to use and keep an ear on them whilst you relax in our Bar. In our dining room we have ample room to accommodate everyone for breakfast. We also have a selection from the breakfast menu that will keep you going throughout the day ahead. Help yourself to fruit, cereal and fresh juice while we prepare for you a delicious full english or another selection of cooked items from the menu. The Norwood does have WiFi installed for your use whilst staying at The Norwood so please feel free to bring your Laptop or other WiFi enabled device during your stay. We have many happy customers who return every year to our hotel and to the level of service we provide here at The Norwood. We pride ourselves in ensuring your satisfaction. The service starts from the moment you contact us so please do using the information shown above.